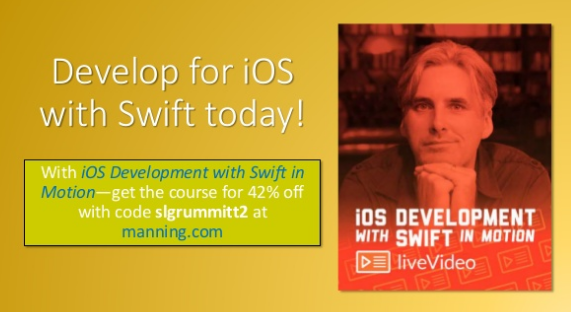 Develop for iOS with Swift Today! What Is an Array and What can I Do with One? 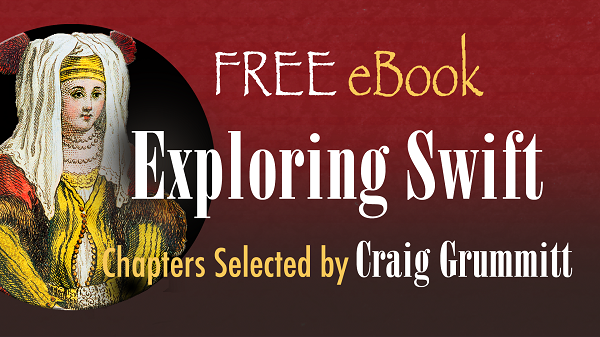 This article, excerpted from chapter 7 of Hello Swift! , tells you what an array is and gives quite a few examples of how one can be used. This article will teach you how to use the minimax algorithm to create a Tic-Tac-Toe AI that plays the game flawlessly. In this article, we’re going to explore these limitations of modeling our data via subclassing in a real-world scenario and how to address those limitations with the help of enums. This article, adapted from chapter 2 of Swift in Depth, discusses the “or” and “and,” also known or sum and product types, respectively, and how they can be used in Swift. 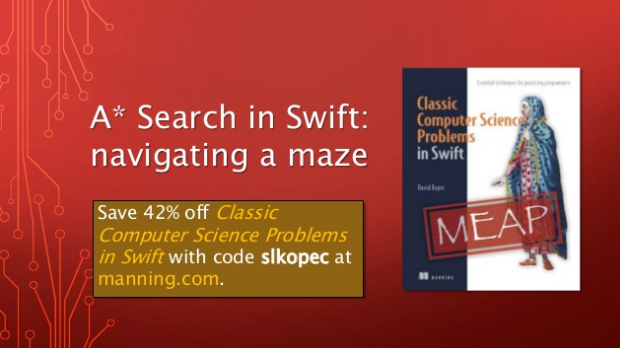 This article is all about finding a path through mazes, which is an analogous to many common search problems in computer science. Examples are in Swift.